Approximately 25,000 people sprain their ankle each day, ranking it the most common form of sprain in the United States. A sprain is an injury to the ligaments around a joint. What are ligaments? Ligaments are strong, flexible fibers that hold bones together. When a ligament is stretched beyond its capacity or it tears, the joint will become painful and start to swell with inflammation. When a ligament is severely damaged, the ligament or joint capsule can lose stability. Recently, a friend got into a terrible accident. She was pregnant and on her way to pick up her other child from preschool. Out of nowhere, she was hit by a tractor trailer, flipping her vehicle three times and leaving her upside down with only her seatbelt keeping her strapped to her seat. She was removed from the vehicle and taken to the hospital. Our friend walked away from the accident that day. She was kept in the hospital overnight to monitor the baby, who did great! After the reality of the accident hit and the fear of it all subsided, she realized that she, herself, had some delayed symptoms. Whiplash, headaches, lower back pain…you name it, she was feeling it all. It was right then that she realized it was time for the chiropractor. 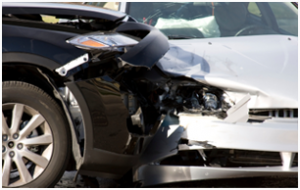 At Caron Chiropractic Clinic, P.A., we see all types of injuries after a car accident. If you’ve been in an accident, it’s important to follow up with your local St. Paul chiropractors at Caron Chiropractic Clinic, P.A.